Most consider gold to be the most beautiful metal on Earth. Gold has fascinated people at many times throughout human history, and has been used for many diverse purposes. It is also believed to be one of the very rarest metals. While it is certainly rare, there are a number of very useful metals which are rarer than gold, a few of which are much rarer. Despite the extreme scarcity of these substances, no other metal has the same cachet as gold. When creating any list, some standards are necessary. In order to make our list of rarest metals, it must be a stable metal. With that criterion in mind, the world’s rarest metal, francium, is not permitted. With a half life of only 22 minutes, it doesn’t have much use in our current world. These 7 metals are not only useful, but also very valuable. Iridium is a hard, brittle and extremely dense metal which is one of the rarest found in the earth’s crust. It is used most frequently in crystals used in computer memory devices, specially designed deep-water pipes, and the surprisingly more mundane equipment which makes rayon fibers. It is also used in X-ray telescopes. If you really want to acquire more iridium, this metal is much more commonly found in asteroids and meteorites. This surprising source of iridium may help explain a possible answer to one of the more popular questions about earth history. What really happened to the dinosaurs? One theory features a giant meteorite smashing into earth and rapidly changing the environment about 65 million years ago. Much of the limited amount of iridium that can be found on the earth’s crust is often near meteor impact sites. Osmium is the densest of natural elements, about twice as dense as lead. This bluish gray metal is another rare substance used in fountain pens. More interesting uses include space or industrial mirrors, along with both optical and electrical microscopy. Surgical implants also sometimes contain osmium. Although not as commonly known as its close cousin platinum, this is even rarer. Both metals both has many similar uses. Both are used in jewelry, electronics, vehicle emissions equipment, and dental or surgical instruments. 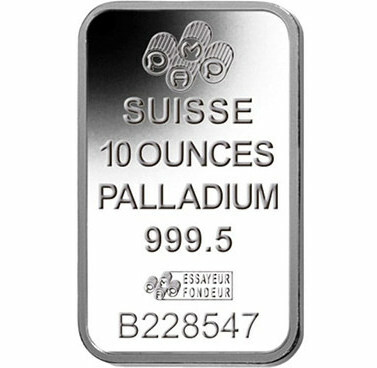 Despite being even rarer than platinum, palladium is far less expensive. Because of the comparatively low cost, it is beginning to replace platinum as a lower-cost material for some uses, such as catalytic converters. Platinum is far more familiar than the other very rare metals. It is used often in jewelry, and a variety of equipment found in the automotive industry. Some of these include electronics, spark plugs and vehicle emissions devices. Perhaps in a weird irony to its uses in automobile engines, platinum is contained in drugs which are part of cancer treatment. The last is always not least. The last naturally occurring element to be discovered was rhenium. This incredibly rare metal is also found more often in space than earth. It is silvery in appearance like its close cousin, rhodium. Both elements are also used in jet engines and other equipment in the aerospace industry, particularly due to a very high melting point. Rhenium isotopes are used to treat liver cancer. Rhodium is sometimes used in fountain pens and several much more interesting devices. Some of these more unusual purposes include mammography systems and aircraft spark plugs. This metal is also used in catalytic converters for automobiles. Tantalum, the rarest stable metal, does have some significant value. It is used to make capacitors in certain electronic equipment such as video game systems, cell phones and computers. Certain types of precision tools also incorporate this incredibly rare substance. All 0.00055 tantalum atoms per million have some sort of use. Just because there are 181 billion atoms of other elements for every atom of tantalum in the known universe, does not mean it does not actually exist.